The recent trip to Italy ran by the Dawn, Matt and Medina was a very interesting and engaging insight into economic activities by businesses in the cities of Florence where we stayed for 4 days and Milan where we stayed for 2 days; in this short blog I will be detailing my highlights about the visit. Firstly, we arrived in the city of Florence which is a symbol of the Renaissance and is renowned for its architecture. In Florence we had a talk with Ciara at the University of Florence about the chamber of commerce which deals with trading and industrial disputes between businesses in Italian cities which I found to be very interesting as it is an area of business I wish to pursue in the future. A few days later we returned to the university for a lecture about how the wine industry affects the Italian economy. The talk was very thorough and in depth and educated the group on how important the alcohol sector is to the economy. 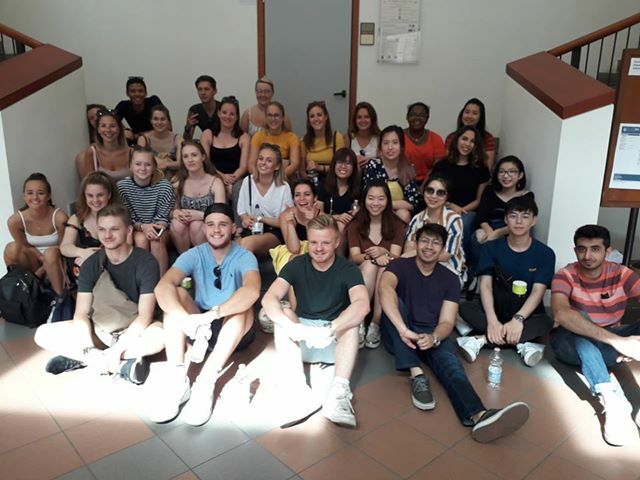 Later that evening the group went for a traditional Italian meal which was nice as it allowed for the group to bond, whilst separating the barriers between year groups and enabled us to get to know the professors on a personal level. During our free time in the evenings many of us ventured out to see Florence’s nightlife, which entailed of unique bars and restaurants that had a nice friendly atmosphere and thus allowed me to socialise with classmates that I wouldn’t normally associate with back in the UK which made for a pleasant change. The second city we visited during the trip was Milan, which is the heartbeat of the Italian economy and home to many brands such as Gucci and Emporio Armani, this part of the trip was particularly interesting to me as Milan is city I have always wanted to visit. A personal highlight of the Milan trip was our guided tour around the city by our excellent tour guide Maurizio who specifically tailored our tour in order to give us a deeper insight and understanding of the business side of Milan and the corruption that is still rife within the financial banks. This was my favourite part of the trip as I learned a lot about the city and the important figureheads of Milan that have enabled it to become the booming city it is today. Later that day we had another group meal where we were able to buy a litre of wine for £7, which as you could imagine appealed to many of us students and accompanied the food we had to perfection. On the last night of the trip a group of us visited the Milan canals which was a stunning sight to behold and it was filled to the brim with tourists and locals alike. Once there we went to an all you can eat buffet which did not disappoint, acting as a starter before trying some other bars along the canals which was a nice way to round off the trip. 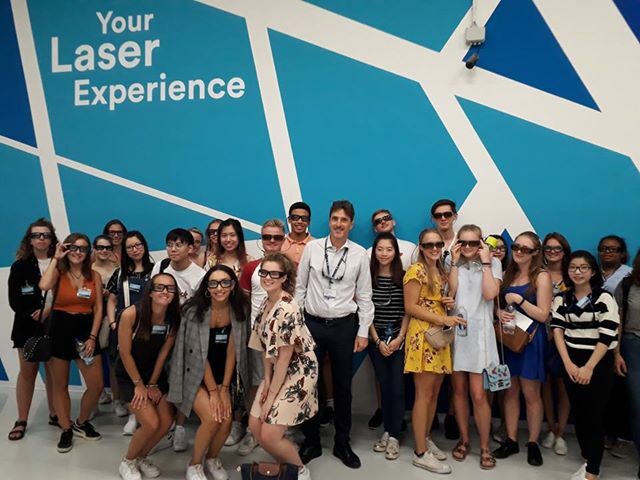 In my opinion the trip was very successful as it was educational and informative whilst also allowing students some free time to socialise and make mates on the course which many of us have stayed in contact with. My only regret from the trip is that I didn’t see the famous San Siro stadium home of A.C and Inter Milan which is something on my football bucket list as it was on the other side of the city. Finally, I would like to thank Dawn, Matt and Medina for planning and organising a great trip that we all enjoyed.